Hey y’all – today I have a post that originally appeared on the Pellon Projects blog. But it didn’t have these snazzy pictures of me wearing this shirt. I got a (affiliate link) remote for my camera and these were the first pictures I took with it. (The second set I showed you yesterday). I decided to experiment with wearing the shirt tucked in and cuffed with shorts. The shorts are my Perfect Fit Shorts I made last year. 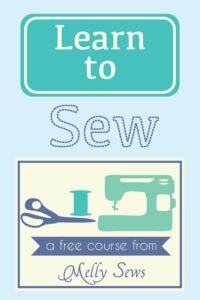 So, want to make your own? 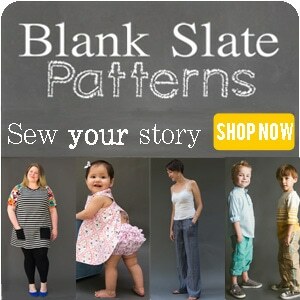 Start with a shirt that fits you. This is an EASY refashion. Also, as a Pellon Artist, I received the product I used free for another project. I created this one using leftover scraps from that, so technically I got free materials, but as always all opinions are my own. If you’ve ever read my about page, you know I was formerly a teacher. 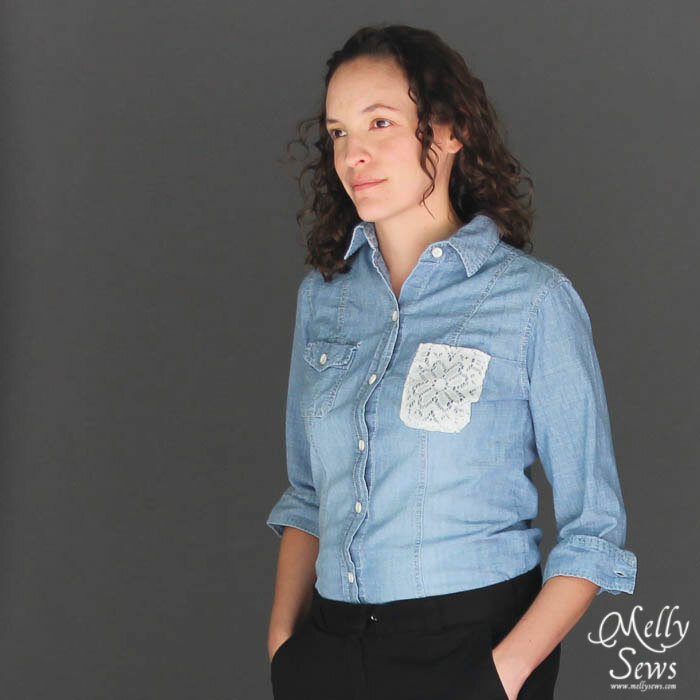 I had a chambray shirt with the logo from one of my old schools on it. The fit of the shirt was great, however the school wasn’t a great fit. Since I didn’t want to go around pretending an affiliation with a school I preferred not to associate with, I removed the pocket with the logo on it. But, that left some uneven fading on the shirt, so you could clearly see where the pocket had been. So I searched through my scrap pile to fins something to make a new pocket out of. 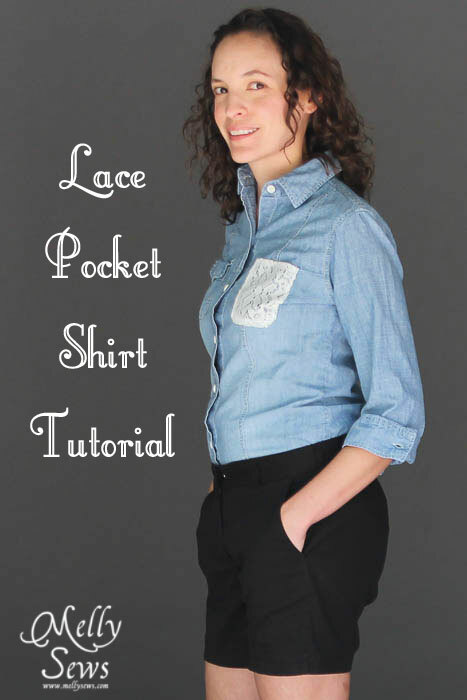 I really liked the idea of adding a lace pocket to my shirt, but lace can be finicky to work with. 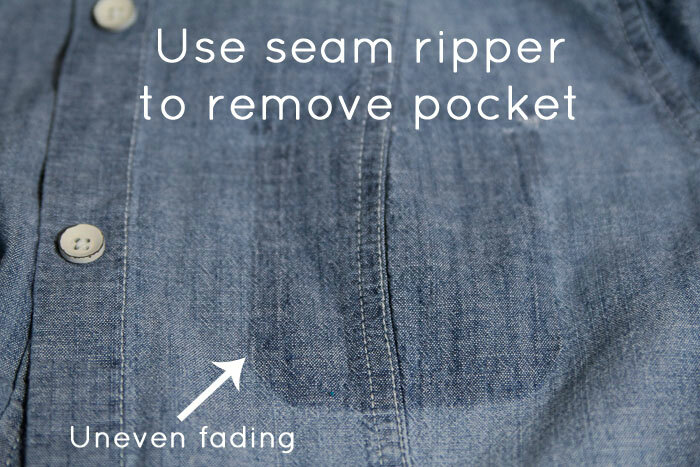 It’s shifty and can be hard to hem. Then it came to me – Pellon Stick ‘n Washaway (which I used in this project created for Pellon) would be the perfect stabilizer, allowing me to work with the lace, but then washing out so that the pretty detail could be seen. Win! 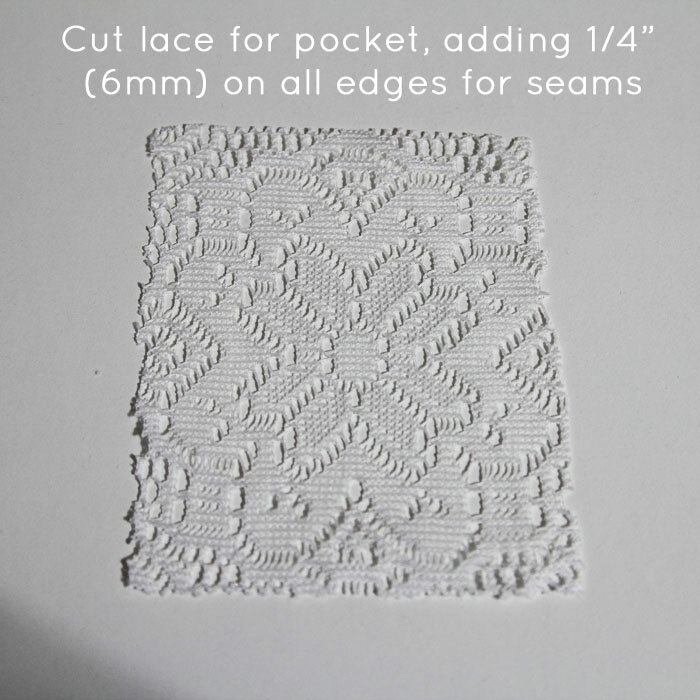 So, I measured my pocket area, and added 1/4″ (6mm) to each side for a seam allowance. 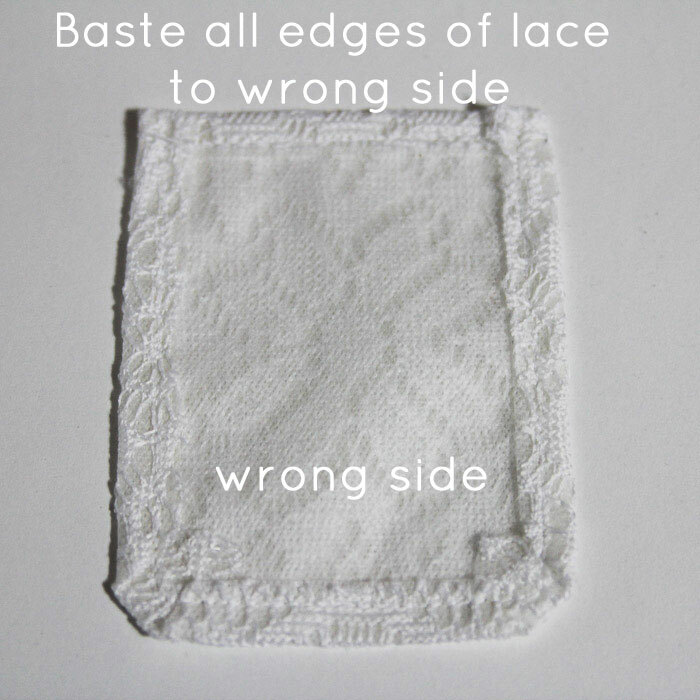 I cut a piece of Stick ‘n Washaway to the same size, peeled off the backing and applied it to the wrong side of my lace. 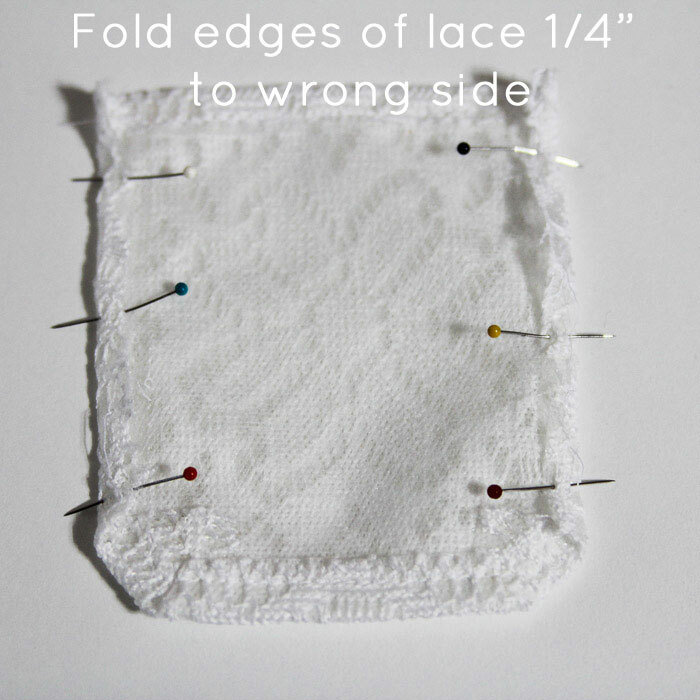 Now that my lace was acting like regular fabric, it was easy to baste my edges to the wrong side of the fabric and hem the top edge of the pocket. I did the top and bottom, then the sides. 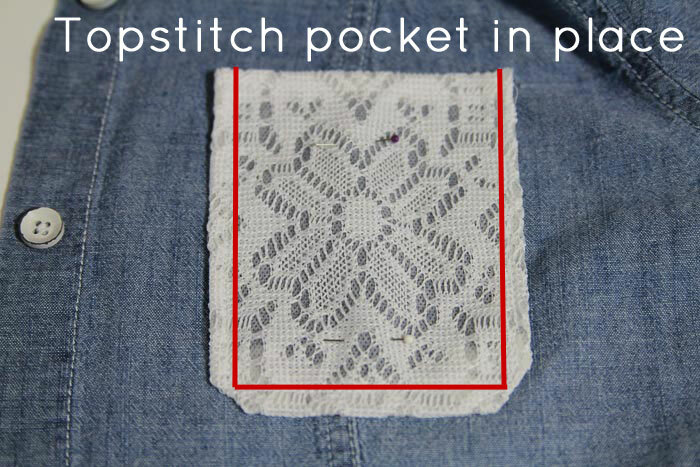 Now all that was left to do was to pin the stabilized lace pocket onto my shirt and topstitch it into place. Then I threw the whole thing in the wash. 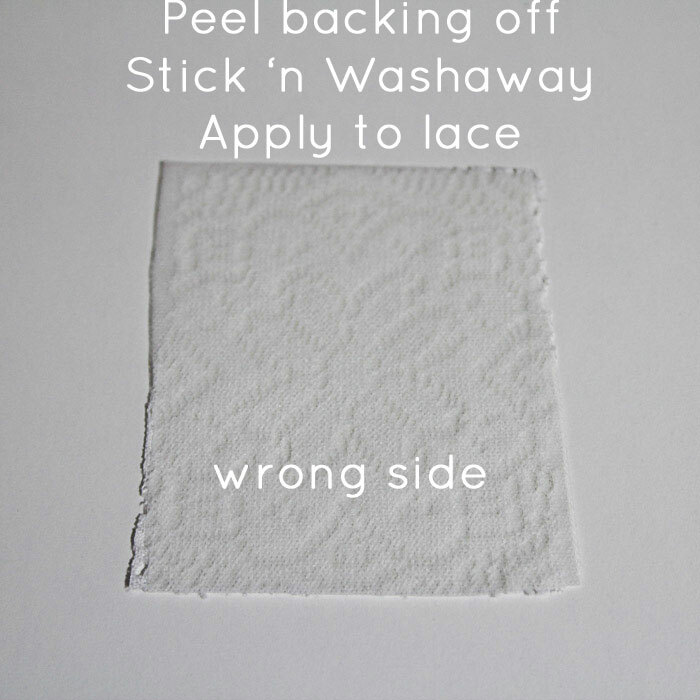 The Stick ‘n Washaway magically disappeared, leaving only the pretty lace detail to see. beautiful lace pocket and those shorts do fit you perfectly ~ man you are good! What a great idea! 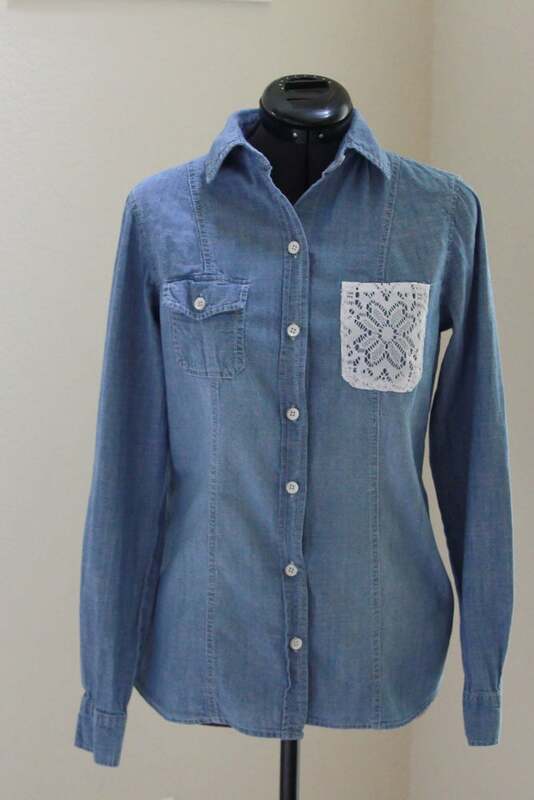 This is a great way to spruce up an old shirt and make it trendy. 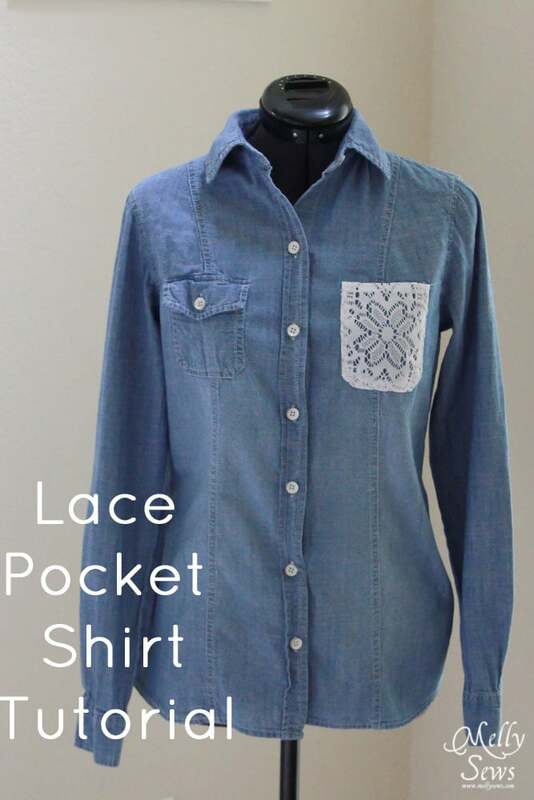 Loving how you used worked lace and denim together here; beautiful!